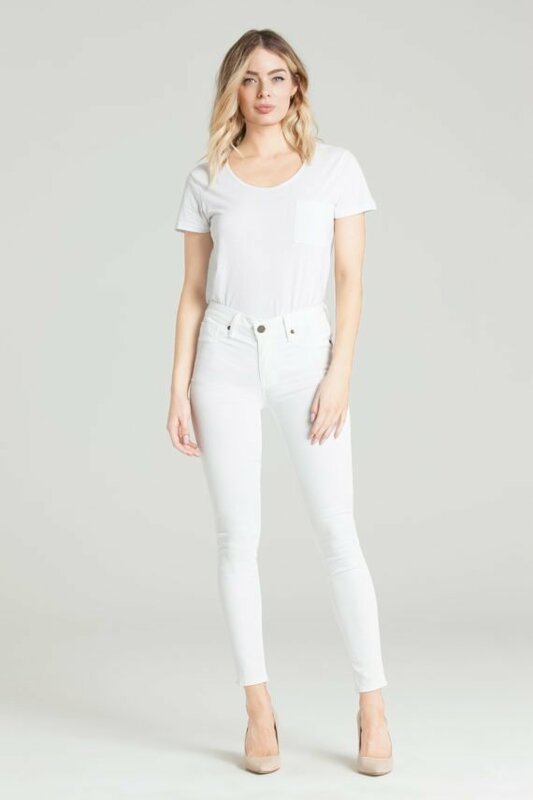 Made from an eco-friendly modal blend, the Ava Skinny in Eternal White will maintain its bright white color without yellowing or fading. With a 9 ¼” rise, this skinny fits like a dream and molds to the body for the ultimate flattering fit. Transition this piece throughout the year with black pumps and bold accessories.